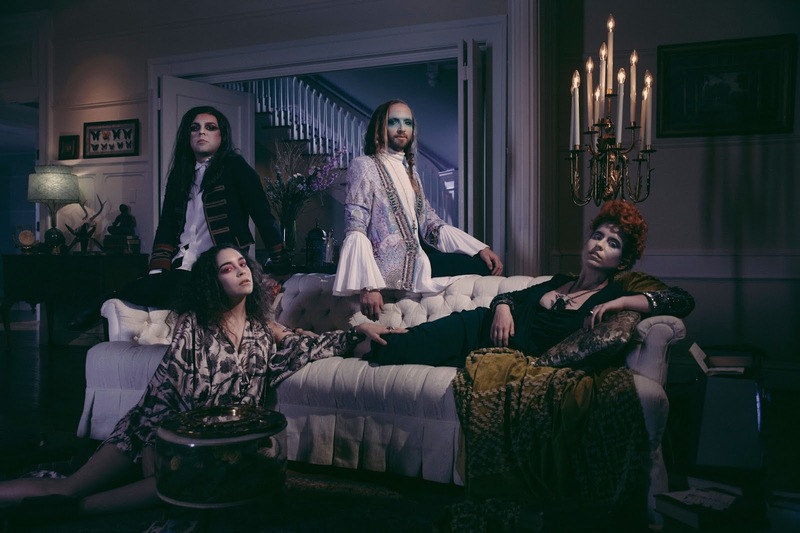 Siamese hail from Dallas, Texas, but, in some ways they sound like some British band aping the moves of early Siouxsie and the Banshees records in the late Seventies. That is meant as a compliment, of course. The band's debut EP, The Mesmerist is out tomorrow and it's certainly worth seeking out. Opener "Goldmind" rocks with a sort of near-shoegaze sense of riff-making, while the undulating "Hounds At Sunset" mixes the art-pop of mid-period Kate Bush with the guitar theatrics of a classic Cocteau Twins side. "Chromatose" is a bit more routine, but "Party Alone" mines a unique mood that's poised somewhere between Sparks and Cranes. The band members of Siamese -- Paul Alonzo (bass), Paul Grass (drums), Nicole Marxen-Myers (keys, vocals), and Teddy Georgia Waggy (guitar, vocals) -- offer what I supposed you'd call uniformly interesting goth rock, and they are at their best when they sound confident in their collective ability to make something that transcends easy genre labels, like closer "Stars Grow Cold", all Sixties-inspired swirls of melody wrapped around a deliberately-paced post-rock melodic progression. I suppose for some listeners I could compare this band to Caterwaul and Bel Canto but those bands are probably not remembered as fondly by as many as they should be. 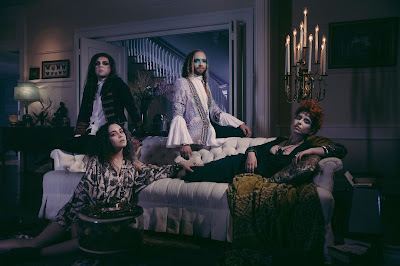 Siamese are making creative noises here and I highly recommend getting on-board now as I'm sure they're going to release something magnificent in the future. The Mesmerist by Siamese is out tomorrow. More details via the band's official website, or from the band's official Facebook page.